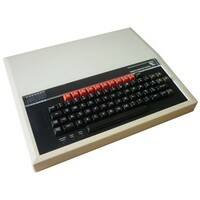 An event celebrating the BBC Micro and the people behind it will be held at ARM in Cambridge on the 25th March 2012. The BBC Micro changed the face of education, it inspired a generation to learn programming and helped kick-start the UK home computing industry. The venue for the event, quite poetically, will be at the global headquarters of ARM Holdings PLC in Cambridge, UK. Sophie Wilson, Chris Curry, Steve Furber, Hermann Hauser, Andy Hopper, Nick Toop and Chris Turner. George Auckland, David Kitson, John Radcliffe and Richard Russell, as well as original BBC 'The Computer Programme' presenter Chris Searle. This is not simply an event that looks back, but one that also looks to the future. The event will feature Raspberry-Pi and will be launching a new online version of the Domesday System that will be available free of charge to Schools, Libraries and Museums. Whilst the event will highlight the planned relocation of the museum to Cambridge, we also want to play our part in promoting the need for programming to feature in the curriculum and to this end there will be several talks throughout the day centred around the BBC Micro, The Computer Literacy Project and what the future may hold. With the rumoured re-launch of the Computer Literacy Project, this event is both timely and relevant, so we are confident that it will be well attended. This is a really important event for the museum prior to our relocation to Cambridge. The trustees have agreed terms on a 10,500sqft building near the Beehive Centre and are currently awaiting planning permission. Domesday Online - Volunteers of the museum have been working very hard to make an online version of the BBC Domesday System. It will be made available free of charge to schools, libraries, museums and other educational organisations. Come and take a look for yourself. Retro BBC - The BBC Micro has a huge following in the retrocomputing scene. New software and hardware is developed regularly making the BBC Micro as accessible as ever! ARM - ARM chips are embedded in a myriad of mobile devices. Directly decended from Acorn, ARM is in international success story that the UK can be proud of. Micro Men - Did you see the film? We'll have scenes on loop all day as well as the 'pretend' Proton which was made for the film. The People who Made it Happen - An interactive Q & A session with the key people behind the BBC Micro. Hailed as being the spiritual successor to the BBC Micro, Raspberry Pi has become something of a sensation. This small, educational computer for less than the price of a new PC game seems like a radical yet brilliant idea. So what makes it so special, and what does the future hold? The BBC Micro has maintained a following to this day. Richard is a member of the Retro Computer Museum in Leicestershire, as well as co-author of BBC emulator software BeebEm. So what is the attraction, and can the Beeb be modified using more contemporary hardware? Alan teaches Computing & IT at Our Lady’s High School, Preston. He is a firm believer that children should be taught programming skills and not Powerpoint, From a teaching perspective, how does computer literacy in education need a new direction? Can it take some pointers from the past? Event opening - meet and greet. Lunch - with live music performed by Terry Gray. Cutting of the official Beeb@30 cake. Coffee Break with live music. Presentation - Retro Computing - The Beeb Lives On - Richard Gellman. Presentation - Hack to the Future - Alan O'Donahoe.